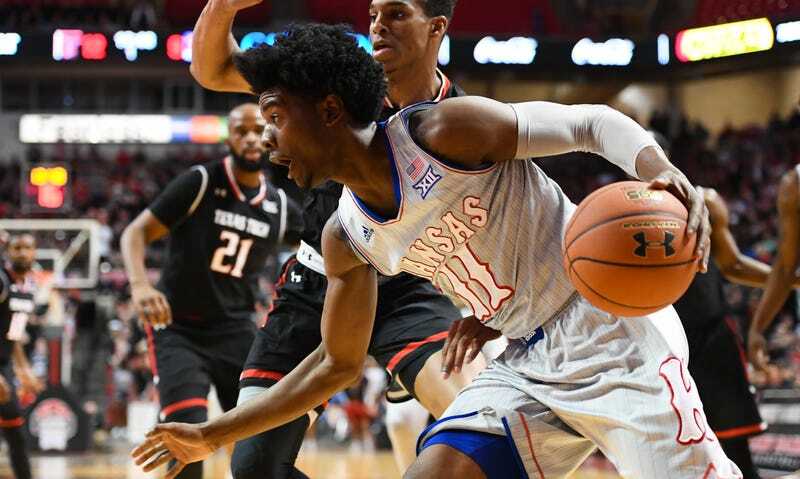 Kansas star forward and future lottery pick Josh Jackson was charged with criminal damage to property on Friday. The misdemeanor charge is for cases under $1,000-worth of damage, and can call for a six-month jail sentence. Jackson was charged after he allegedly kicked the car of a sophomore women’s basketball player, McKenzie Calvert, outside a local bar in December. Accordign to police, Calvert threw a drink on Kansas guard LeGerald Vick before leaving the Yacht Club. When she attempted to leave, Jackson followed her to her car, where they argued before Calvert got in the driver’s seat. Jackson proceeded to kick her door and rear taillight. This is the second time in a year that Calvert has been attacked by members of the men’s basketball team. In late January, a university investigation concluded that Vick likely punched and kicked Calvert in the face in a case of domestic violence stemming from Dec. 2015 and Jan. 2016, according to the Star. Vick’s playing time did not suffer as a result on the findings, which recommended he be put on two-year probation, a recommendation the athletic department has not acknowledged as being followed. Vick was not charged in the vandalism case; he was listed only as a witness.